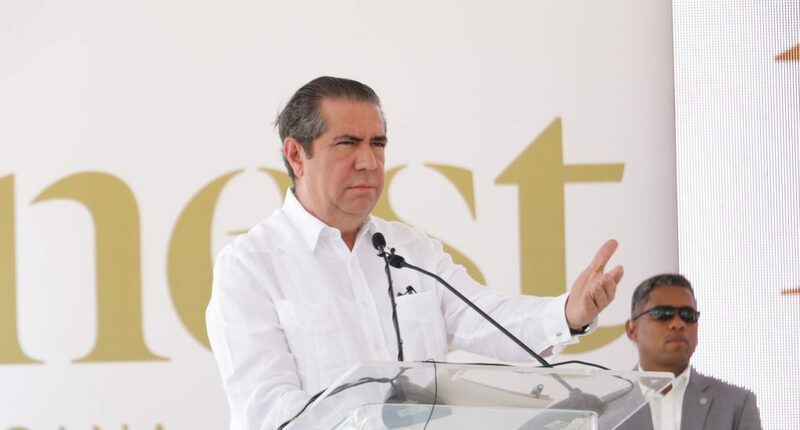 Punta Cana.- Tourism minister, Francisco Javier García, on Wed. said that the Punta Cana area is a benchmark for tourism development, as evidenced by the many foreign officials and business leaders who come to learn how the industry has grown. “This is a place for people to come and learn what are the techniques, policies and actions that must be carried out to develop tourism projects,” García said. Speaking at groundbreaking headed by president Danilo Medina for the 450-room, Excellence Group hotel, Finest Punta Cana, Garcia said the country’s push in tourism in visitor arrivals stems from government support to investors who are confident on the destination to develop the tourism industry and other segments. “The investment that the government has made in public tourism infrastructure in this area of ​​the country in the last six years, is higher than what had been made in the last 50 years,” the official said.